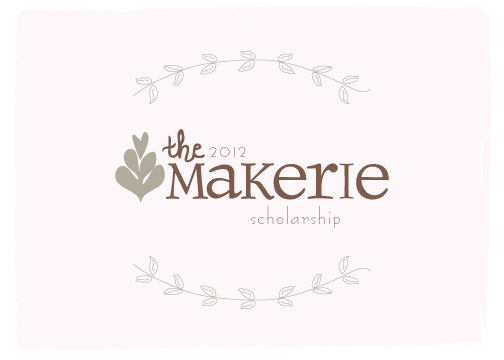 the Makerie: our 2012 scholarship winner! Every single time I sat down to read and re-read our scholarship applications, I cried. There were nominations from mothers, husbands, best friends, sisters and amazing people who beautifully nominated themsleves. Each incredible story made this choice impossible really, as every single person is SO deserving of a creative weekend away. I wish we could give everyone a scholarship and I mean that from the bottom of my heart. Reading the words about what attending the Makerie would do for peoples' lives gave me chills ~ the kind that turn into goosebumps and stay for awhile. To those who submitted applications, if I were to meet you in person I'd give you each a giant hug to thank you for sharing your heart-warming stories with us about the heroes in your lives. They are all extremely lucky to have you, recognizing and honoring what they give to others and this world. What a gift that is in and of itself. 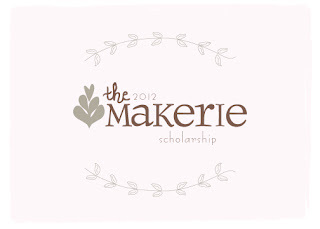 With all that said, it's now time to celebrate the winner of our 2012 Makerie Scholarship! as this year's scholarship recipient! Karisa's story is one full of heart, courageous spirit and a genuine, deep love for creativity ~ much of what the Makerie is all about. A huge, heartfelt congratulations to Karisa and enormous love and gratitude to Old Glory Antiques and Prince Street Dry Goods for making this scholarship possible! We're honored to have Karisa as a participant at the 2012 event and now a very special part of our Makerie family. What an exciting day! Congratulations Karisa! I know it will be just as special for you as it was for me.